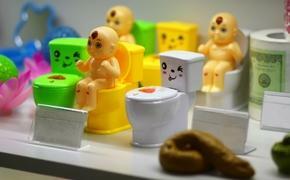 Kids Kicking Your Airplane Seat? Awesome! For those with an inclination to kick the airplane seat in front of you there is luck, because Southwest soccer balls are a thing—a very wonderful and awesome thing. Marilee McInnis, writing for Southwest’s blog Nuts About Southwest (h/t Jaunted), delves into the “LUV Seat: Repurpose with Purpose” initiative. 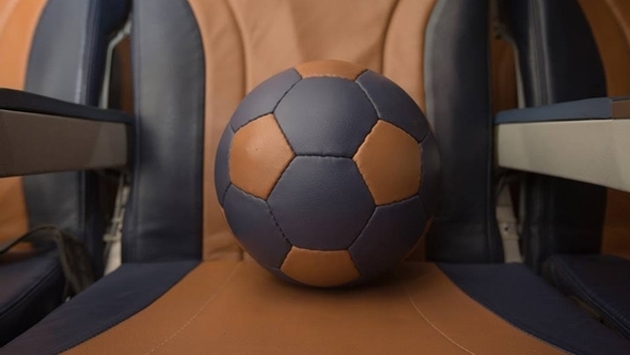 The attention grabber is simply a soccer ball made from the back of airline seats, featuring the company’s iconic color scheme. Dig a bit further and you find that there is far more to this story than a refreshing take on frequently used seats. Southwest is taking a reported 43 acres of leather seat covers and putting them to great use, all while building skills and providing much-needed items to various communities. The video begins with the story of young James Jafya who states, “my body was being eaten by Jiggers (chigoe fleas).” Thanks to work being done by Project LUV Seat, Jafya now has shoes and a smile to complement the pair. The entire initiative is a multifaceted project aimed at improving the Kenyan community through used leather that could have been easily been forgotten, discarded or essentially wasted. For example, McInnis, who serves as Southwest’s Senior Manager - Culture and Communications, explains that giving the leather to such non-profit organizations as Alive and Kicking has a potentially long-lasting impact. Sitting down in your economy seat, just seconds after stuffing your expensive belongings into the last remaining overhead bin, it’s so easy to forget the plight of various communities around the globe. In fact, this is the very moment you begin to complain internally about the lack of legroom or the heavy mouth breather sitting right next to you. We can safely say that we never actually fathomed the seat covers might be used for anything more than collecting free-peanut debris that failed to make it into our mouths. Thankfully, there are innovative people around to solve one rather remarkable dilemma: What do you do with acres and acres of used leather? If you are Southwest, the answer seems to be quite simple and wholly remarkable. You turn a relatively benign issue and solve a devastating problem. You take discarded covers and garner smiles and laughter an ocean away. If you are so inclined, you take those oft-ignored seat covers and turn them into shoes and soccer balls, making the world just a wee bit better in the process.